I’ve been dutifully working on my projects with due dates ever since I wrote that post last week. 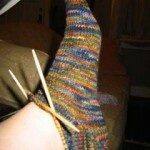 I’m now halfway done with Sockapal2za sock two. I’ll definitely be done before the end of Labor Day Weekend — a solid 2 weeks before the due date! Very excited — I’m never this well-behaved. I am still thinking a lot about Kepler. I ordered a color card from Chester Farms for their Cestari DK. I remembered seeing them at MDSW but I didn’t have a need for them so I kept them in the back of my mind for just the right project. 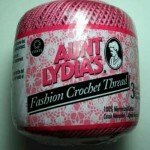 I’m still not sure if it’s the right yarn for this project, but I am positive I’ll use this yarn at some point. It’s a minimally-processed, lanolin-rich wool — exactly what I had in mind. I’m just not sure if they have a color I want. I do like the blackberry color (in the center of this closeup). The pic is darker than it should be though, and it didn’t pick up some of the pinky-reds that are in the yarn. This colorway has great depth and color variation. 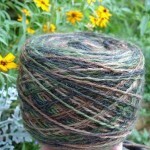 I’m also strongly considering Rowan Yorkshire Tweed DK. Again, a lovely yarn, great flecks of color, but the shades aren’t grabbing me. I’m not complaining though. I know the right inspiration will come, and I’ll have more of these deadlines off my mind at that point. I’m confused why you keep looking at DK weight yarns for Kepler… isn’t it done in Shetland Heather at 4 st/inch? I just don’t want you to buy the wrong yarn and be frustrated and have added to the stash in vain! Revel looks quite similar (Rowan Yorkshire Tweed)to the blackberry colour on my monitor or is it my eyes?! I’m trying not to print off Kepler at the moment…oh the slippery road to startitus. Are you planning on making any alterations to Kepler? I like the concept of the sweater (the cable on the hem and cuff) but I’m not sure I like the execution. are you planning on doing waist shaping? Just trying to get my head around the design, or at least what you have planned for it. 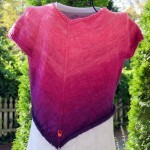 Another great thing about Cestari yarns is their natural aversion to felting. According to Chester Farm the sheep are bred so their wool will naturally not felt or shrink. 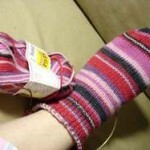 In my experiences it isn’t 100% but it can definately go in the washing machine on cold. I finally got to pick out my yarn!! It’s been ordered and I’ll have to wait for it to be shipped… KSH in Majestic. I love the Cestari yarn! I’ve not had a chance to use it yet myself but have fondled some a friend was using. That Kepler pattern is gorgeous! I think my daughter would like that, so perhaps I’ll make her one in the future.